Spiral has been successful in securing a RADF grant from The Sunshine Coast Council. This grant will fund the collaboration between Linsey Pollak and Lizzie O’Keefe and the Spiral Dance Company this year. Spiral worked with Linsey and Lizzie in 2018 for Dangerous Songs and this year we get to collaborate again for 10 weeks with a production that will be delivered in September. Keep Watch for some exciting updates! The Regional Arts Development Fund (RADF) is a partnership between the Queensland Government and Sunshine Coast Council to support local arts and culture in regional Queensland. Spiral received a grant from the Regional Arts and Development Fund for creative workshops as part of Spiral’s activity month in September. Spiral thanks the Regional Arts and Development Fund for their generosity. Spiral received a grant of $958 for workshops conducted during Horizons 2016 – Creative Workshops for Young People. 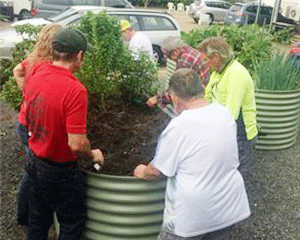 This grant was awarded from the Sunshine Coast Regional Council Community Grants Program. Spiral thanks the Sunshine Coast Council for their generosity. Proudly supported by Sunshine Coast Council’s Grants Program. Special thanks to Maroochy RSL. On behalf of Spiral, I would like to thank all organisations involved in these and other grants. 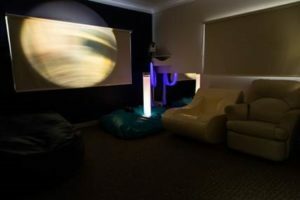 Spiral won a minor grant from the Sunshine Coast Council Grants Program to replace the blinds in the Sensory Room. The new blinds block the light from the windows to enhance the therapeutic experience in the room. Spiral thanks the Sunshine Coast Council for providing the opportunity to complete this project as a part of the grants program. Spiral would also like to thank Nambour Curtains and Covers for installing these blinds. 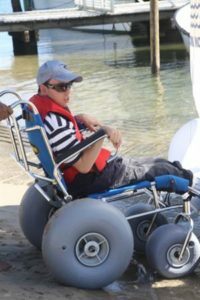 Through the generosity of the Sunshine Coast Council Grants Program, Spiral received funding for an all terrain wheelchair. This safe, secure mobility aid is designed to handle uneven surfaces and can travel over water, dirt, sand, gravel and other rough ground. From the beach to the hinterland walking trails, this wheelchair can access places a standard wheelchair cannot navigate. The chair, featuring shock absorbing tyres, a small turning circle and two adjustable harnesses, can be dismantled for easy transportation. The enjoyment experienced because this chair gives access to fresh air and the outdoors. The need started with our sailing program but has no limitations for our individuals across the Sunshine Coast. Over the past few years Spiral has been busy developing an edible and sensory garden. For our clients, the garden gives enormous pleasure, practical skills and knowledge. Garden to Plate workshops are also enhanced with fresh produce and an abundance of herbs. With the help of a generous grant from the Nambour RSL Community Benefits Grant Fund, we completed Stage 2 of the garden. Raised garden beds and accessible pathways were added to the garden. The raised beds have rounded corners, enabling wheelchairs to negotiate the pathways easier. Now, anyone can enjoy being in the garden and eating the seasonal plants. For Spiral, the garden has become an important learning and teaching resource, which is also complemented by our very own native beehive. 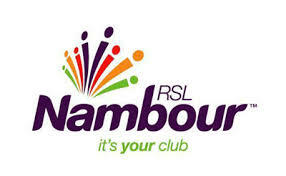 Thank you Nambour RSL Community Benefits Funding. Spiral would like to acknowledge the generosity of, and thank, the Honda Foundation and Gary Crick Honda for the loan of a Honda Civic Hybrid to help us provide support in the Sunshine Coast Community. This car has been integral in the last three years for some of our individuals to access community and build skills in their time with Spiral.